Chandigarh: The Aam Aadmi Party this evening announced to form a five member co-ordination committee to sort out differences with rebel MPs, MLAs. The announcement came hours after the AAP rebels led by Sukhpal Singh Khaira and Kanwar Sandhu reveals their organisational plan. 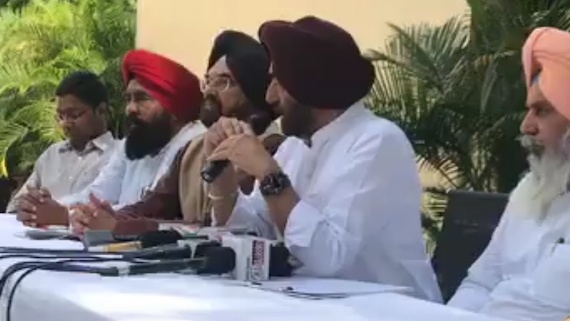 Chandigarh: Aam Aadmi Party dissenters group led by Sukhpal Singh Khaira and Kanwar Sandhu today revealed their organisational plans during a press conference. Speaking on behalf of AAP rebel group Kanwar Sandhu said that the organisational structure of AAP was dissolved during August 2 ‘volunteers conference’ at Bathinda after which a Political Affairs Committee (PAC) was announced. He said that the PAC was working to reorganise party structure in the state but there was pressure from volunteers to make efforts for unity with in the party. Kanwar Sandhu said that on September 25 the PAC formed a five member co-ordination committee to make efforts for unity with in the party. But, added he, no body from the other group of AAP approached the committee for unity till date. The journalist turned political who is presently MLA form the Kharar constituency added that AAP convenor Arvind Kejriwal has visited Punjab three times in past two months but he did not make any effort to contact their group. He said that even no one form the other group of AAP has formally reached them. He complained that the other group of AAP announced 22 member core committee of the Aam Aadmi Party but no one from their group, which comprises 8 MLAs, is included in the core committee. Pointing these things he maintained that the other group was not serious about unity in the party. He maintained that their group still wants to see the AAP united in Punjab. He recalled the other group for unity but set out a condition that the resolutions passed during the ‘volunteers conference’ that was called by their group would be the basis of such talks. He said that their group was under pressure from volunteers to resume activities therefore the PAC has appointed each member of the PAC as regional observer who will take inputs from the volunteers in coming days. Kanwar Sandhu said that their group has called a meeting of the PAC on October 24 and names of the district presidents of AAP will be announced in this meeting. He said that their group will also announce names of some ‘wing presidents’. On being asked by a journalist that if their group had included any one from the other group into the PAC, he said that no one was nominated from the other group as the PAC was announced long ago. He said that the PAC was ad hoc and they were open to add more members of the PAC if the need arises. Chandigarh: The AAP core committee today held its meeting here under the chairmanship of Principal Budh Singh and took important decisions to strengthen the party base in Punjab. The core committee has formed a five member panel to reach out to dissenting MPs and MLAs and sort out the differences with them so that party may be strengthen in Punjab. Sarabjit Kaur Manuke will head the committee and other members are Bhagwant Mann MP, Meet Hayer, Rupinder Kaur Rubi and Kulwant Singh Pandori(All MLAs). AAP MP Bhagwant Mann, LoP Harpal Singh Cheema, deputy LoP Sarabjit Kaur Manuke,MLAs Amarn Arora,Kultar Singh Sidhwan, Meet Hayer, Manjit Singh Bilaspur, Rupinder Kaur Rubi, Amarjit Singh Sandoa, Kulwant Singh Pandori attended the meeting besides Dr.Balbir Singh, Dr.Ravjot Singh, Dalbir Singh Dhillon, Gurdit Singh Sekhon, Sukhbinder Sukhi, Zameelu-Ur-Rehman and Manjit Singh Sidhu all core committee members attended the meeting. 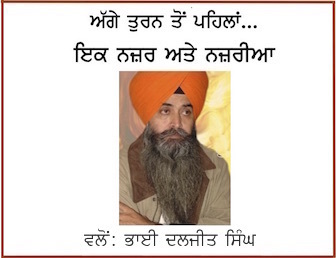 The core committee hailed the sacrifice made by Dakha MLA H.S.Phoolka who has resigned from his seat in protest against the sacrilege incidents and failure of Congress government in taking action against the accused named in Justice (Retd) Ranjit Singh Commission. The committee noted that it was not easy to make such sacrifice in the interest of justice. The committee in a resolution asked the Chief Minister Capt Amarinder Singh to take immediate action against the guilty of sacrilege of Guru Granth Sahib otherwise next generations would not pardon him. The name of Capt Amarinder Singh will be written in black words in the history, it added. AAP core committee announced that it will announce the names of its candidates for 2019 Lok Sabha poll by the end of November, 2o18. The process for the selection of candidates has been started. The core committee also decided to launch agitation against the hike in power rates and detailed programme will be announced soon, said Manjit Singh Sidhu state media in charge.